Nokia 8 has been spotted on GFXBench listings. This is the first time this rumored affordable Nokia flagship has been seen on GFXBench. The specifications are similar to the earlier leaked specs of Nokia 8. The only new info is about the front camera which is listed as a 12MP unit capable of recording 4K UHD videos. 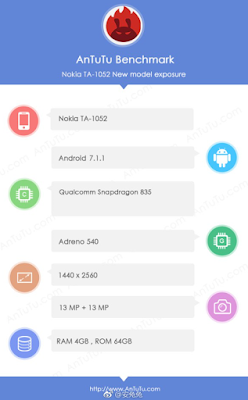 GFXBench identifies the device as Nokia 9 with model numbers TA-1004, TA-1012 and TA-1052 but a device appeared as Nokia 8 with model number TA-1052 on AnTuTu Benchmark. 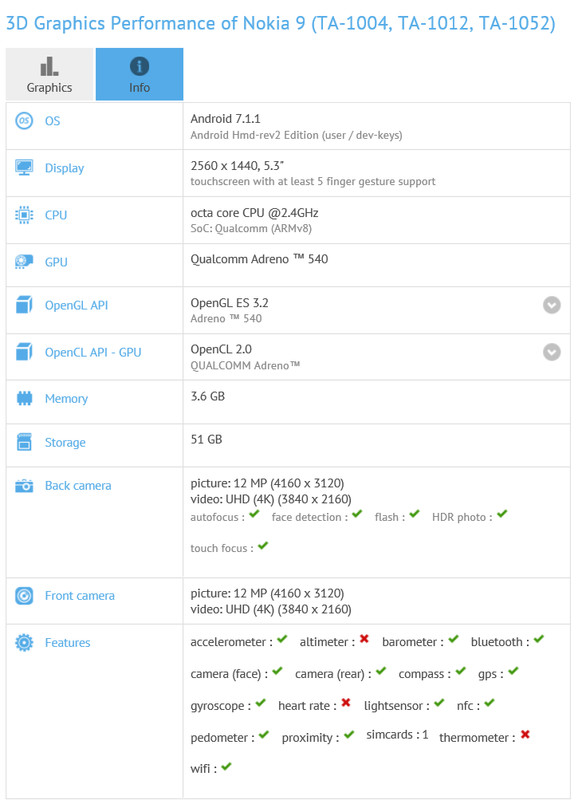 The benchmark result on AnTuTu shows a 13MP+13MP dual camera setup too. The other two variants of the phone will also be named Nokia 8 as it has been confrimed by the Bluetooth Certification of TA-1004 and TA-1012.